When I started blogging, I faced certain problems with Editing Images, Plagiarism, Grammer, Keyword Researching etc, I searched a lot so I find some useful tools which are now helping me in Blogging. Recently We talked about "First Browser With Free Built-in VPN" Hope you liked it. 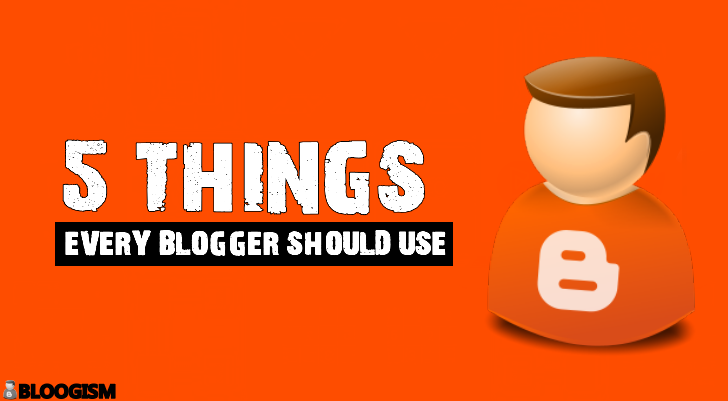 Today I am going to tell you "5 Things Every Blogger Should Use". Those who write blogs on Blogger.com, This article is very Useful for them. Today I am going to tell you about those tools I use for blogging. So Subscribe me on Social Media Facebook, Twitter, Pinterest, Instagram. Photoscape is a free Photo Editor which you can use for your minimal editings for blogger example resizing the images, Adding Filters on Images, Cropping, Adding text on photos, somewhere you need to blur the image you can use this editor, Merging Photos etc. Any low scale editing you can do but for big editings, you have to install Photoshop or other tools available on the internet. You can Download this tool by Clicking Here! Images with High Quality slow down your website, to compress your images without losing the Quality you can use TinyPNG, for a better result. It will just Compress your photo in size not in quality. Your photo will look like big size like 5MB each but actually, that is in a smaller size and make your user Fast Loading experience. You can Upload Maximum 20 Images at a time and 5MB each, after compressing it will give you download link and you can download your image. To use this tool Click Here!. Every time while writing a blog you need keywords to work on, for finding keywords this tool (Extension) will help you. Although! it is not accurate as the premium tools, because this is a free tool but it can help you near accuracy. You just need to install the browser extension once (Chrome, Firefox), this available on both browsers. with just a little installation process you can find keywords every time when you search something on Google. Most of the time writing articles may you mistype some word, Don't worry! Grammarly is here for you to correct your mistakes, you just focus on content at the end you can correct you all mistakes. Grammarly is also an extension type tool which is available on any popular browser, install the extension create an account and start using. Suggestion: It will work better with chrome. All of the tools provided by smallSEOtools.com are free to use, except someones. we only will talk about those, which will be needed in blogging. If you took someone else content and want to write in your own wording, but you don't know much English, you can use Article Rewriter to spin the text. after that, you should check you rewritten content in plagiarism. If you want to check that your content is copied or not, use this tool and you will be notified either your article is copied or not. Your Article words and characters counter. So, these are some of the tools that I use while writing the Article. Hope you will like these and use them when you next write your article. At the end! I would like to raise the question "How much You Like My Article?" Spare time and write a comment down below! If you liked, Share it with your friends.